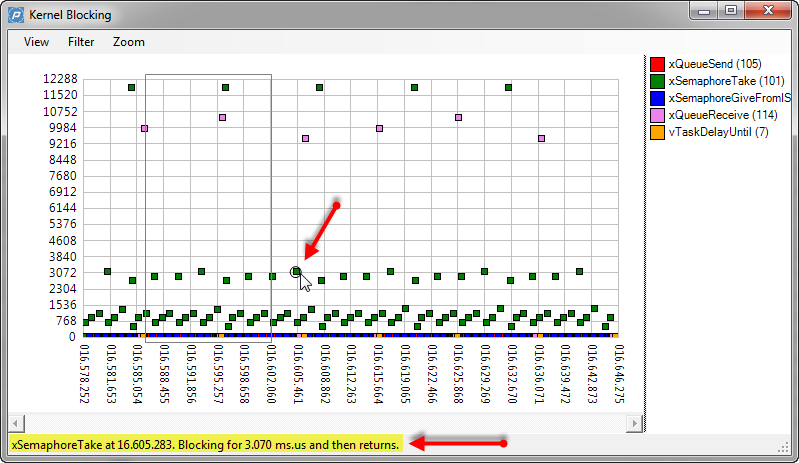 As shown in Tracing FreeRTOS with a Hardware Probe: I have a nice hardware probe to trace out events from my application. But what about to use the target memory as trace buffer? New devices have much more on-chip memory, so this could be an attractive option. 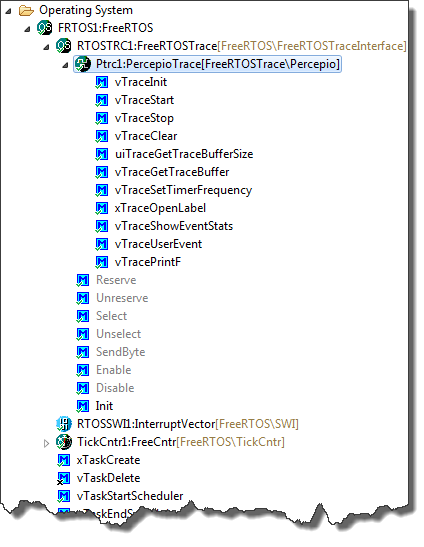 That was on my list of future extensions, but then the news came in: Percepio announced their collaboration with FreeRTOS+Trace: exactly what I needed! It is using the same concept as the FreeRTOS Trace Probe: the trace hooks provided by the FreeRTOS API. But instead streaming it off the target as with the FreeRTOS Trace probe, it is using a RAM buffer on the device. 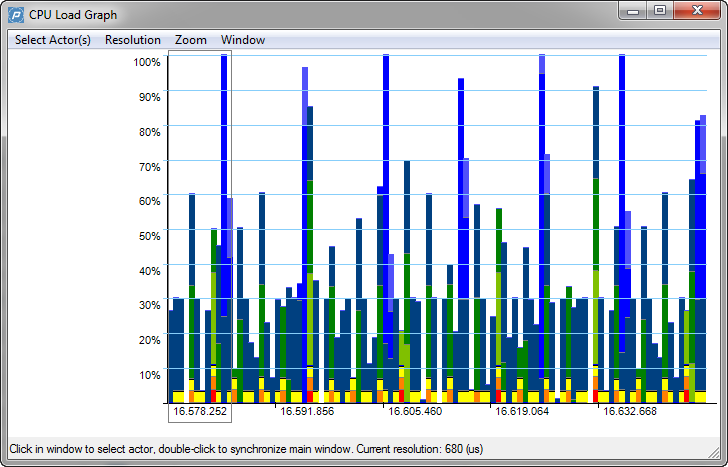 The real cool thing is: the Percepio trace viewer is very, very nice! 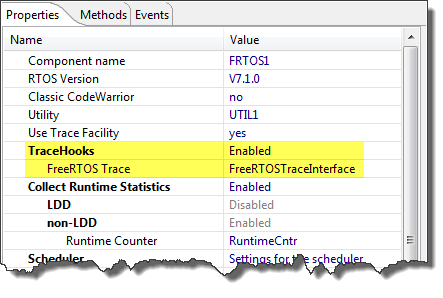 FreeRTOS+Trace from Percepio is not open source, but they offer a free of charge version. You can download the library sources after requesting it from the Percepio web site. 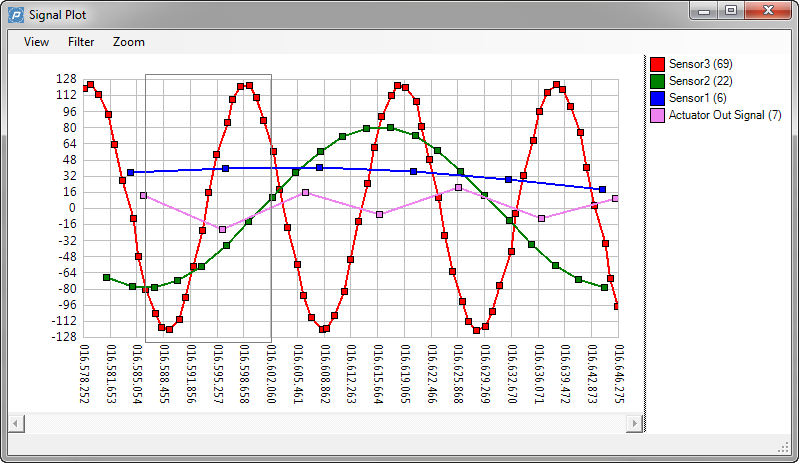 The Trace viewer comes in three editions: Free, Standard and Professional. With the installation you get as well a 30 day Professional Evaluation license mode. 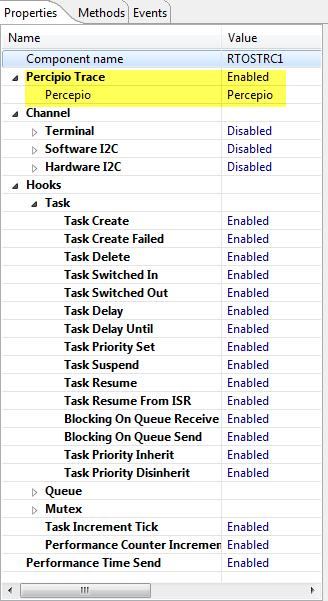 The Free Edition comes with the basic functionality to view the tasks scheduling information. 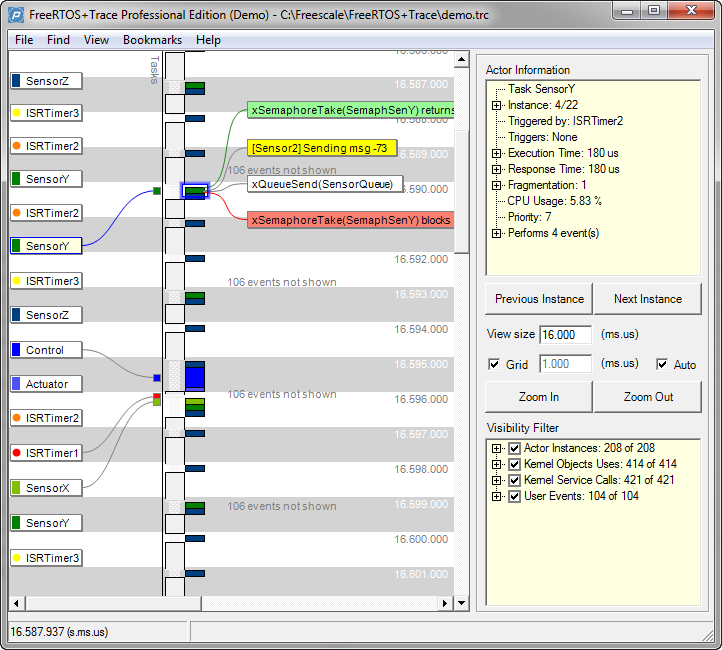 From the Free Edition you can switch to the Standard and Professional Edition, but you will be limited to a demo trace. Still, this gives you a good preview what you can expect in the other editions. But how to get it hooked up to my system? As you know from my other posts, my answer is: I use Processor Expert :-). With the FreeRTOS Hardware Trace I have a good base. So what I need is instead tracing to an external hardware, I need to trace to RAM and using the FreeRTOS+Trace API library. To make things really easy to use, I have extended the existing FreeRTOSTrace component and created a new PercepioTrace Processor Expert component. 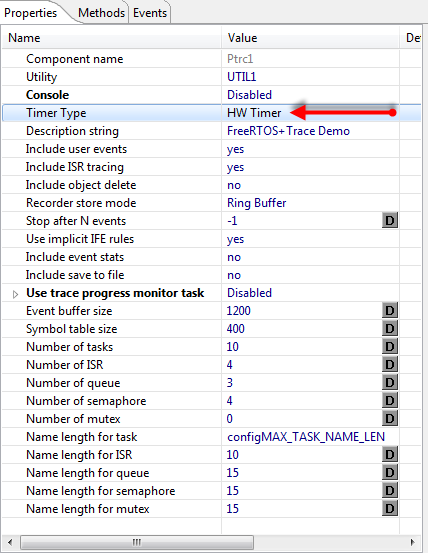 Additionally I have changed the FreeRTOS component to use a free running counter instead of a normal timer interrupt: this allows me to gather performance data for the Percepio Trace. 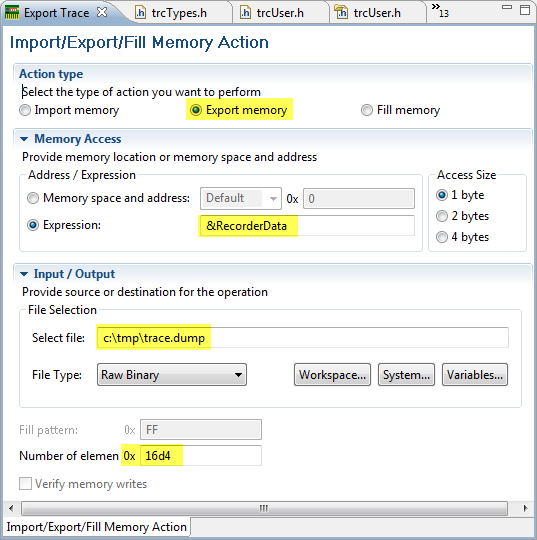 The library comes with an option to write the trace to an file system. 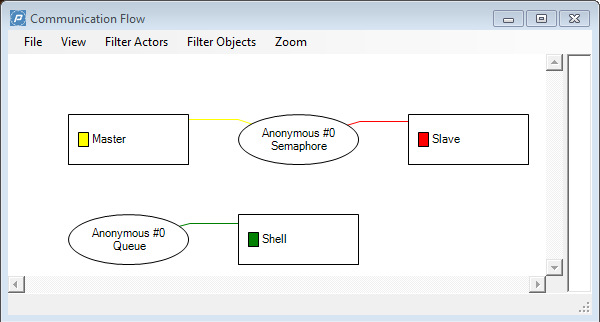 If I find time, I’ll configure it to use the FatFS component I already have created. As with the target task I need to specify the size of the memory, this sometimes is not ideal. The good thing is: the trace data has special markers in it, so you can dump as well your whole memory: the Percepio Trace Viewer will find the trace data in the dump. So far, this is working great. I have it working for all the ColdFire V2 cores and all the S08 cores. So a lot of night and week-end work. I’ll keep things posted….. This entry was posted in Debugging, Embedded, Embedded Components, FreeRTOS, Processor Expert and tagged Classic, CodeWarrior, Debugging, Eclipse, Embedded Component, FreeRTOS, Processor Expert, Tracealyzer by Erich Styger. Bookmark the permalink.